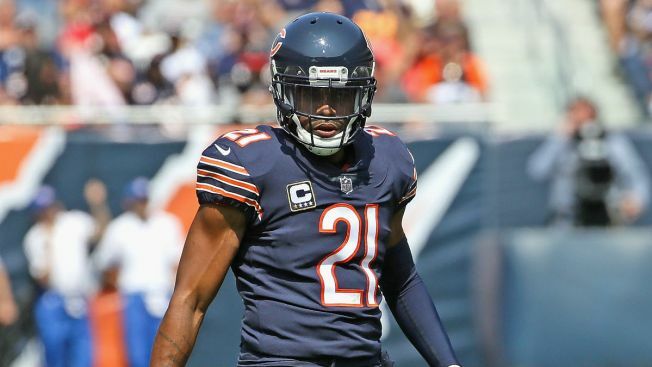 The Chicago Bears have suffered a big loss to their secondary, as safety Quintin Demps will miss the rest of the season after being placed on injured reserve Friday. Demps, who signed with the Bears in March, broke his left forearm in the team’s game against the Pittsburgh Steelers. Demps missed Thursday’s game against Green Bay, and has now been placed on IR, ending his season. In three games with the Bears, Demps had registered 11 tackles. He has 18 career interceptions, 44 passes defended, and 195 tackles. With Demps now on the shelf, the Bears will be relying more on Adrian Amos and Eddie Jackson at the safety position.